Also, Rick Ferri will dialogue with Chris Brightman of Research Affiliatesbeehive of smart betaon alternative indexing: desirable for honey or dangerous for its sting? 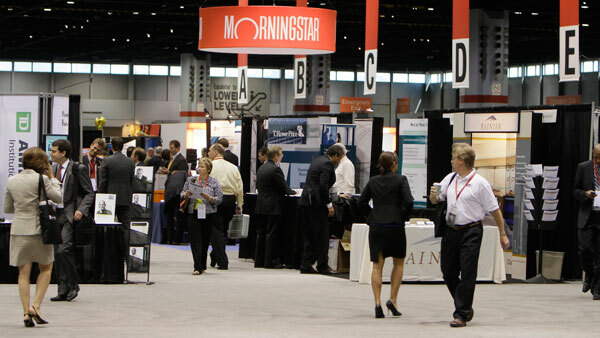 Financial advisors’ summer pilgrimage to the Morningstar Investment Conference is underway, as the Chicago-based financial research organization hosts its 26th annual gathering Wednesday through Friday this week. Where and how to invest is the key theme of the conference and Morningstar has scheduled as speakers portfolio managers such as PIMCO’s Bill Gross whom investment professionals follow closely for guidance on that question. Morningstar named Gross the Fixed Income Manager of the Decade for 2000-2009, and that came after he became the first manager to win Fixed Income Manager of the Year three times (1998, 2000, and 2007). The manager of the world’s largest bond fund famously made a killing on Fannie Mae and Freddie Mac mortgage bonds when the government took over the troubled lenders during the subprime mortgage crisis of 2008. His astute management of PIMCO’s Total Return Bond Fund has made it the world’s largest bond fund since its 1987 inception. But for more than a year that fund has been bleeding assets after Gross’ long winning streak hit the skids in 2013, when the fund lost 1.9%. A management shake-up that involved the departure of the respected former CEO Mohamed El-Erian may have also contributed to a loss of confidence in the fund. Gross has been fighting back, staking out a bullish position on stocks, bonds and real estate. He has recently argued that the Fed is redefining real policy rates in a markedly downward direction that implies a new approach to portfolio management. If Gross can convince investors that he understands today’s markets and can deliver shareholder returns, then perhaps he can restore his fund’s former glory and staunch a hemorrhaging that has seen outflows of some $80 billion from the formerly $293 billion fund. The ever-opinionated Cliff Asness, known for his quantitative approach to portfolio decisions and simultanesous embrace of both value and momentum, will keynote the conference’s final day, Friday. The chief investment officer of AQR Capital Management, which offers both hedge fund and retail products, Asness has published a large number of academic financial studies, including his latest paper that seeks to lend intellectual respectability to momentum investing. Investors will surely want to hear on which side of the trade the quant thinks has current momentum. Financial advisor Michael Kitces, one of the most popular bloggers in the advisory space and a contributor to ThinkAdvisor will take on a key issue of concern to advisors seeking to address retiring clients’ income needs: Namely, is the 4% rule passé? The Pinnacle Advisory Group advisor and research director, along with Morningstar’s David Blanchett and Wealth Logic’s Allan Roth will take on controversial issues, undoubtedly including the question of how much stock should be included in a retirement portfolio. Ferri will be dialoguing with Chris Brightman of Research Affiliates—the beehive of smart beta products—on whether alternative indexing is desirable for its honey or dangerous for its potential sting. Liquid alternatives, the shale revolution, whether housing will make a strong comeback or will never again regain its former share of the economy are just some of the questions likely to emerge in this week’s gathering. The conference has attracted more than 1,000 advisors and nearly as many non-advisor industry participants to the affair at Chicago’s McCormick Place. The event kicks off late Wednesday with opening remarks by Franklin-Templeton fixed-income portfolio manager Michael Hasenstab.